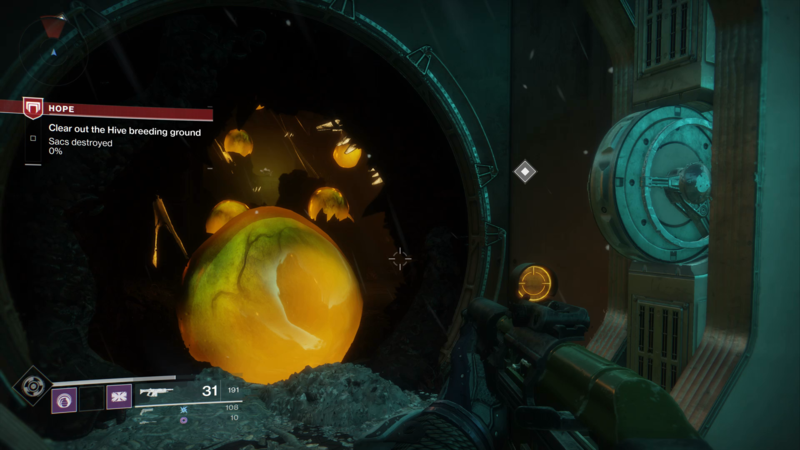 In this Destiny 2 Hope mission walkthrough guide, we’ll help you through the first mission set on Titan. Complete the Hope mission in Destiny 2 and you’ll unlock the Riptide mission. The Hope mission on Titan in Destiny 2 is set on a derelict station out at sea. To begin with simply follow the mission marker and jump (or double jump if you feel safer) across gaps - being careful not to propel yourself into the rough water below. You’ve got to get access to the control center, but the whole place is overrun with the Hive. Once you reach the gunked over entrance to a small room, jump upwards to make it out and then across to the far platform. You’re about to encounter a no respawn zone and tonnes of Thrall. Keep your distance with the Thrall as they are only dangerous if you become overrun by them. A few shots from any weapon should take them out, so keep an eye on ammo and maintain a good distance. If one manages to get up close, melee attack and then retreat. After this section is complete you’ll face more platforming, so just don’t do anything stupid and you’ll be fine. Next up are Acolytes. These tend to stay back, so you shouldn’t become overwhelmed by them. Take the group out and head down. 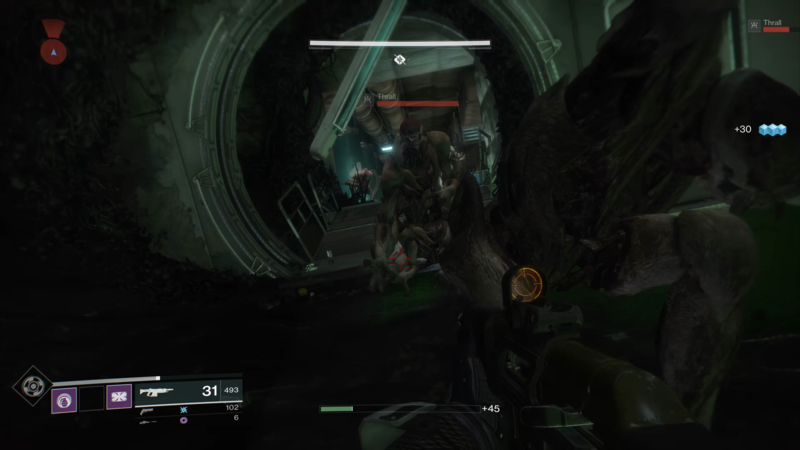 More Acolytes await, followed by a group of Thrall. The area here is pretty large, so make sure you’re not penned in and vulnerable to a group attack. Eventually you’ll reach Bay 3 and even more Thrall. Knights will also start to show up from this point, so watch out for their three-pronged projectile attacks. Slowly work your way through until you get outside and into a large area. This is the largest battle in the mission to date, with loads of Acolyte and numerous Knights to take on. Always stay somewhere you can duck behind for a breather, and you shouldn’t have a problem. 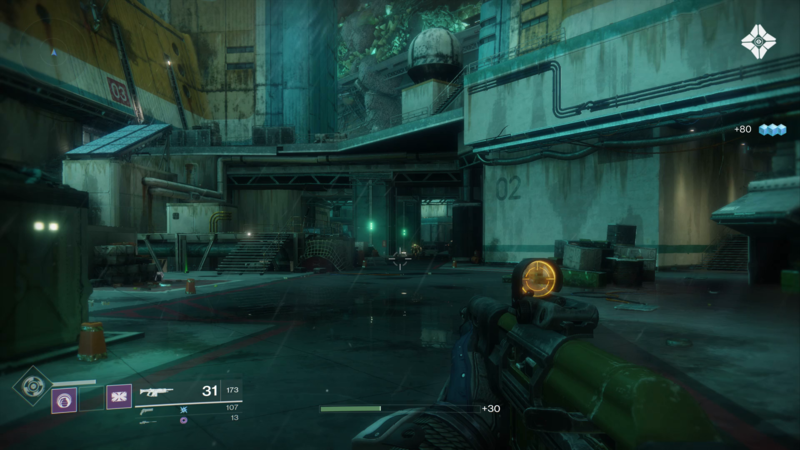 The rocket launcher in the previous room will also help if you feel that way inclined. Follow the mission marker and you’ll make it to a Hive breeding ground. This is a room filled with yellow sacs (lovely!). Your aim here is to destroy them all. It’s not hard in of itself, but a mixture of Thrall, Acolytes and Knights make things more complicated. Inside there’s not much room, so hang around at the entrance for as long as you can, giving you an easy escape if enemies start to overwhelm. Take out all the sacs and enemies as you work through, using your Super when available. You’ll face a lot of foes, but eventually the sacs will be gone and you can head on through. Next up is even more enemies to fight, before you have to hold the control center (kill all the enemies). Again, this is a large area, so keep clearing out one spot then using that small zone to take cover. 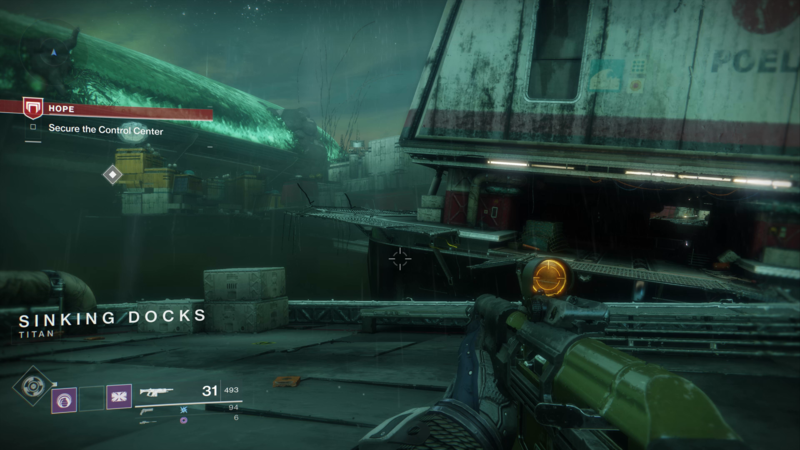 Success here will mean you can rendezvous with Zavala, complete the mission, and unlock the Riptide mission (which follows on directly after). If words aren't your thing, then maybe this full video walkthrough of the Destiny 2 Hope Mission will be to your liking.